As Marvel Studios’ “Black Panther” continues to smash through box office records, a perennial complaint about the character’s origin has reemerged. 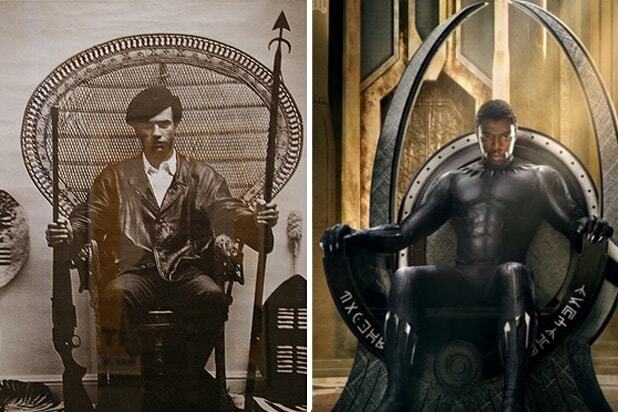 But no, the character wasn’t named after the revolutionary socialist and black empowerment-focused Black Panther Party for Self-Defense, which was founded by Bobby Seale and Huey Newton (pictured above) in October 1966. So where did Lee and Kirby get the idea for the name? Unfortunately, that isn’t remotely clear. One possibility is the Lowndes County Freedom Organization, a political party founded by civil rights activist Stokely Carmichael in 1965 to register African American voters in Lowndes, Alabama, that had a black panther as its logo. Carmichael was a huge influence on the founders of the Black Panther Party, who the next year took the party’s name from LCFO’s logo. Lee and Kirby would likely have been aware of Carmichael, who was already famous as a spokesperson and organizer of the Student Nonviolent Coordinating Committee (SNCC) and the man who probably coined the slogan “black power.” But given the very narrow focus of LFCO, the party (and its logo) never attained widespread familiarity outside of activist circles. Also Read: Did You Catch the 'Back to the Future II' Reference in 'Black Panther'? Another possible inspiration is the 761st Tank Battalion, a segregated U.S. Army unit that earned one Medal of Honor, 11 Silver Stars, around 300 Purple Hearts, and a Presidential Unit Citation for its exploits in Europe during World War II. The unit was especially notable for counting among its members future baseball and civil rights legend Jackie Robinson. The battalion was nicknamed the “Black Panthers” after their distinctive logo. Kirby and Lee were themselves WWII Army vets — in fact, Kirby served as an Army scout in Europe during the war, so it’s highly possible he at least was familiar with the unit. However, neither Lee nor Kirby (who died in 1994) ever explained why they picked the name “Black Panther.” Kirby originally called the character “Coal Tiger” before they duo settled on the catchier name we now know and love. Perhaps it just sounded cool, or it was just something in the cultural air. Although Black Panther and the Black Panther Party didn’t inspire one another, their histories are intertwined. Marvel was well aware of the association between their superhero and the Black Panthers, and the white ownership and editorial team resisted outright political themes as much as possible in that era. In fact, in a 1972 issue of “Fantastic Four,” the publisher even briefly changed the character’s name to “Black Leopard” to distance him from the political group. In that story, the newly-minted Black Leopard explains that he was worried about using his original name when returning to the U.S. because of its political connotations. What’s more, the character soon became a means of exploring political issues very much on the radar of the political party. Most notably, the final story arc of Panther’s 1972-76 monthly comic series (the unfortunately-titled “Jungle Action”) focused on T’Challa’s efforts to take down the Ku Klux Klan. Of course, the prominence of overt politics has varied greatly by writer and by various “Black Panther” monthly titles over the years. But in the last decade, particularly after Marvel hired political and social commentator Ta-Nehisi Coates as lead writer on the latest “Black Panther” monthly series, the character’s political relevance as been emphasized, rather than downplayed. The film version of “Black Panther” unflinchingly deals with post-colonialism, the impact of slavery and the Black experience in America. 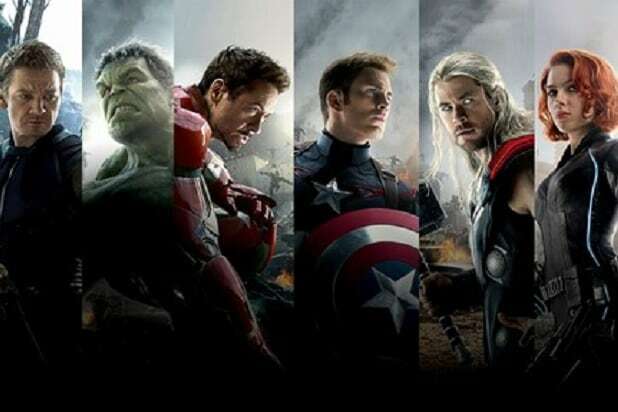 And with ticket sales zooming past $230 million in its debut weekend, the film seems to have benefited from the political themes Marvel downplayed once upon a time. ‘Black Panther': Could the Wakandan Ancestral Plane Have Something to Do With a Hidden Infinity Stone?